In the previous blogs we have seen how to set up a mgwt project on eclipse, Apache Cordova Android project on eclipse and Apache Cordova Android Project on Android Studio. 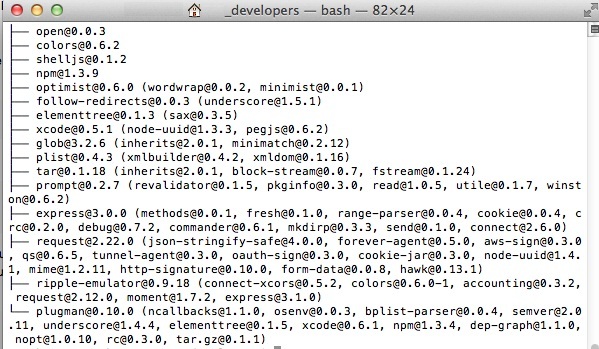 Now we will move to setting up an Apache Cordova iOS project on XCode. XCode is the default IDE Apple provides for developing iOS applications. First we need to install XCode from Mac store. 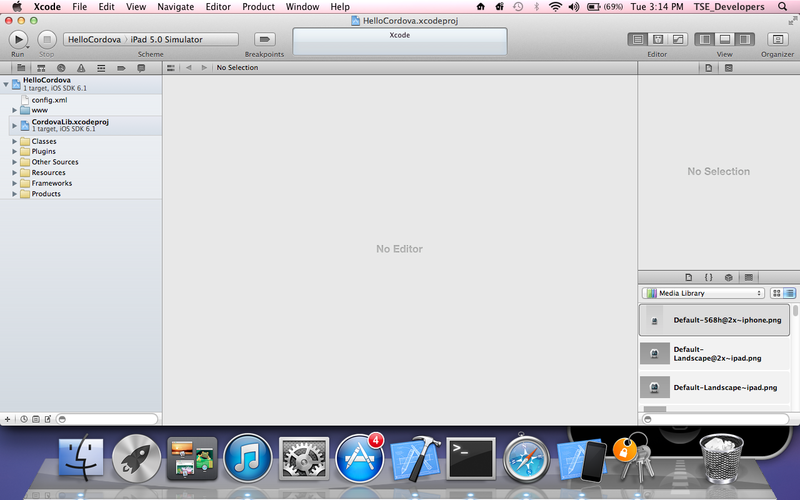 Just search for XCode and click on Install. For creating a Cordova project we need to install nodejs and also cordova. So we need to repeat these installation steps on your mac also , if nodejs and cordova are not already installed on your mac. Download the latest version of nodejs from the below link and install the nodejs library. Some times this command fails to run as it requires root or administrator privileges to install cordova for all the users using the mac. If you face any issues with root or administrator privilege, run the below command. One the cordova installation is completed, we can create a cordova project. Create an Apache Cordova iOS project running the below command. Now change to the project directory that was created in the previous step. Now add ios platform to the project created. 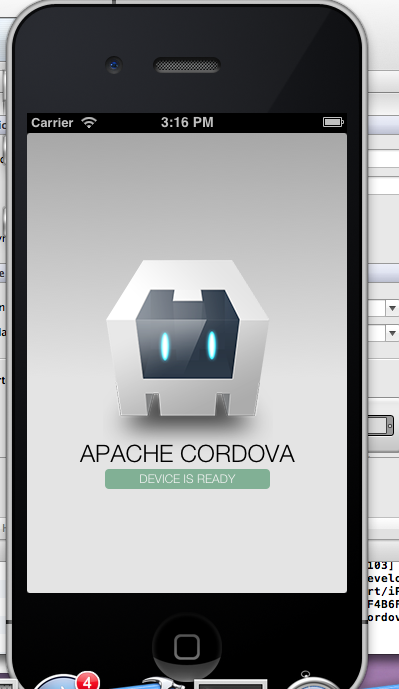 Now we have created a cordova ios project, we will import it into XCode. Launch XCode, and click on Open to import the project that is created. 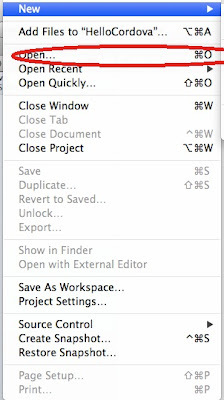 Select the project, click on 'Open'. 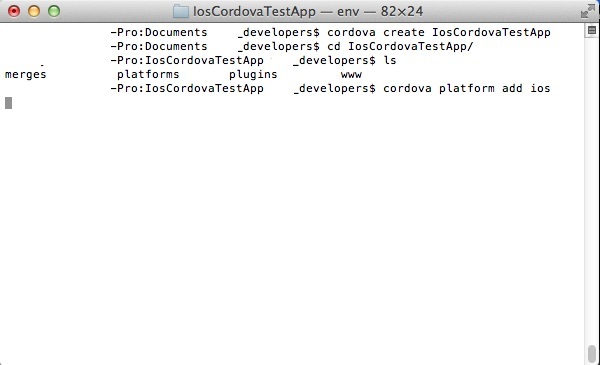 Browse through the project you have created, IosCordovaTestApp --> platforms --> ios and select. Once the project is imported, we can run it in an Simulators. Simulators are available beside Stop button on the left corner of the XCode. Click on Run button which will compile the application, launch the simulator, deploy the application in simulator and run the application in the simulator. Once the simulator is launched and application is installed, we can see the Apache Cordova iOS project launched which will display a screen above. We have just created a blank project and so this is fine for now. Later we will modify the project with our changes and view them running the simulator. We have completed setting up all the required tools and environment to build a cross platform mobile application. So in the next blogpost we can start building a demo app and run it on different mobile OS. Thanks for sharing such a great blog..Keep posting.. This post covers how to get your app into xcode! Invaluable.